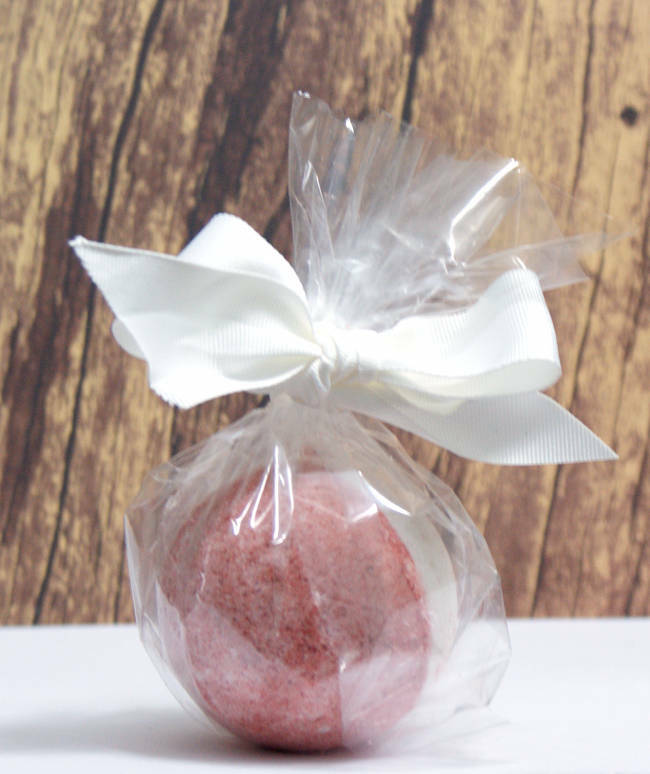 This homemade holiday peppermint bath bomb recipe is sure to please and they make wonderful homemade Christmas gifts for anyone who’s a fan of bath and beauty products! Not a fan of peppermint? Substitute with your favorite fragrance or essential oil instead! Using a digital scale begin by weighing out the dry ingredients in a large glass bowl or 4 cup or larger glass Pyrex measuring cup. Set aside. In a separate container weigh out the cocoa and shea butters. Heat at reduced power in the microwave or in a double boiler until fully melted. Carefully remove from heat then weigh out the sweet almond oil and fragrance and stir into the melted butters. Now slowly pour the melted oils and butters into the dry ingredients mixing with a fork until well blended. 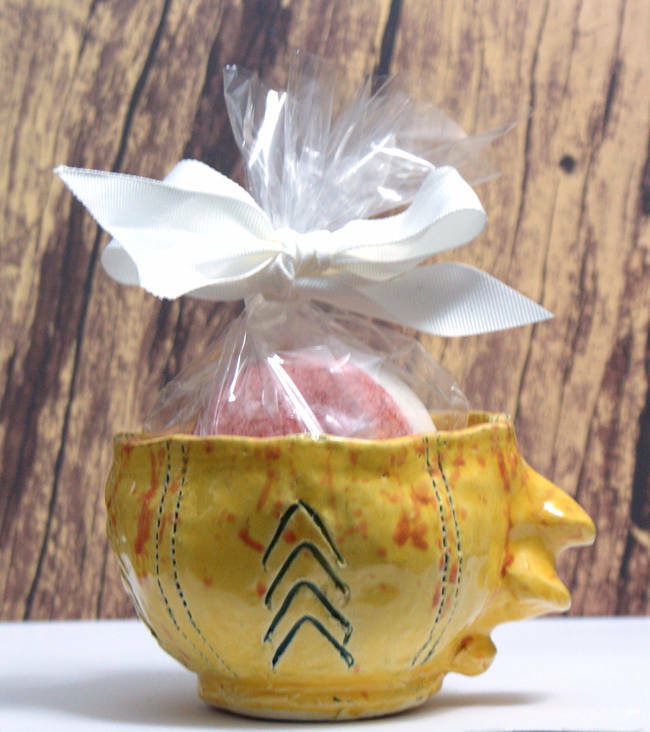 Like this homemade bath bomb recipe? Then also be sure to try my homemade pumpkin bath bomb recipe. 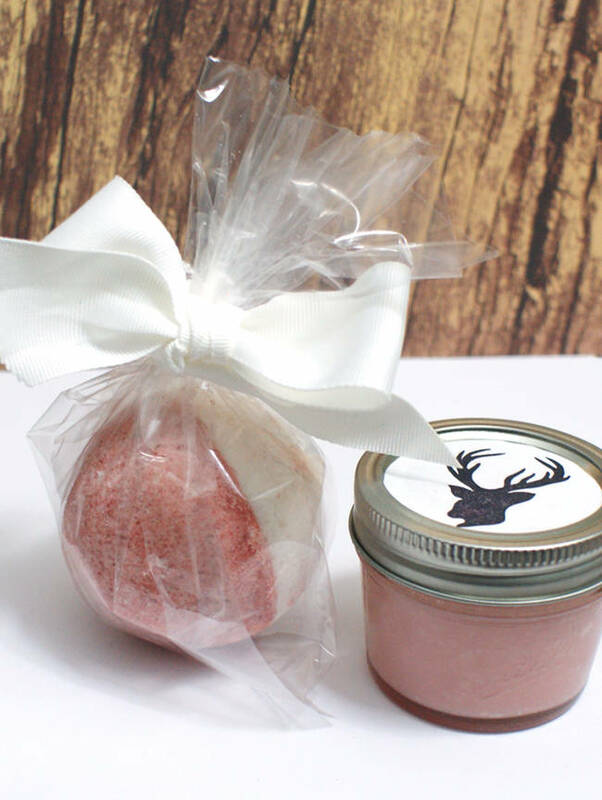 Or pair your homemade peppermint bath bombs with my seasonally scented, non-greasy homemade body butter recipe! For more homemade Christmas gifts you can craft, homemade soap recipes and DIY bath and body recipes be sure to follow my boards on Pinterest. You can also find me on G+, Facebook, Twitter and Instagram or follow me on Blog Lovin’ and Tumblr. Hi… It’s a nice concoction… I also liked your accompanying body butter..!! Though I wanted to know, how do I replace Epsom salts? There have been many DIYs that I have to skip because I haven’t been able to get them here, on India. Suggestions??!!! Please…. You can use sea salt instead. My kids love the long lasting bath balms is there a trick to making them really solid so they last a long time?